The best of telly for free. Freeview gives you 50 channels and 4 HD channels to play with and features such as series record and Smart TV. Free from contracts, free from subscriptions. The best bits of telly are free for everyone and free forever. 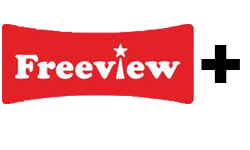 To find out more or to see if you are in an area to receive Freeview, call us. Watch your favourite TV in glorious high definition with free HD channels from BBC One HD, BBC HD, ITV1 HD (STV HD in Scotland) and Channel 4 HD (Clirlun in Wales).With HD you can watch the UK's favourite TV with up to 5 times clearer picture quality than standard definition . With Freeview+ you can record an entire series. It's like building your own box-set. Only free, of course. Recording your favourite programmes has never been easier. With Freeview + you can record at a touch of a button from the EPG.